Forget the explosive fandom behind Sword Art Online. Considering how popular battle royale games like Fortnite are at the moment, that’s where the real genius of Sword Art Online Alternative: Gun Gale Online‘s timing lies! Based on the novel by Kino’s Journey author Keiichi Sigsawa, the spinoff anime’s first couple of episodes are out in the wild, so now is the perfect time to dip our toes in and see how it looks with some quick first impressions. The first episode of SAO Alternative doesn’t waste any time getting right into the action. After a very brief setup that loosely establishes the virtual past of the Sword Art Online universe, we meet LLENN and her current teammate as they begin the multiplayer competition known as Squad Jam. This mode within the larger Gun Gale Online game has players forming squads and attempting to survive. Thanks to periodic satellite updates, simply camping out and waiting for everyone else to be killed off isn’t an option, so players have to stay on the move and come up with legit strategies to succeed. LLENN takes her partner’s knowhow and her own high agility stats and puts them to the test, eventually engaging in an impressive battle against a group of players that are clearly military professionals in real life. Since it’s all about action in the first episode, the second takes a moment to step back, look at the larger world, and introduce the person behind LLENN. Karen Kohiruimaki is a university student who has a very obvious complex about her height. She’s much taller than your average Japanese woman, and would love nothing more than to be short and totally kawaii. This is one of the key opportunities she sees in the world of virtual reality MMORPGs, but she’s a little disappointed to discover that games like Alfheim Online only offer randomized character creation. She keeps trying, though, because Karen just knows there has to be a game out there for her. She transfers her character LLENN to countless MMOs, all of which put her in the role of a ripped warrior, a huge beast, and so on. All of them are just as towering as she is in real life, if not more so… until she tries Gun Gale Online. Here she finally finds the sweet (and short) relief she’s been looking for, and she even manages to dye her military uniform and weapon an unconventionally cute pink for good measure. 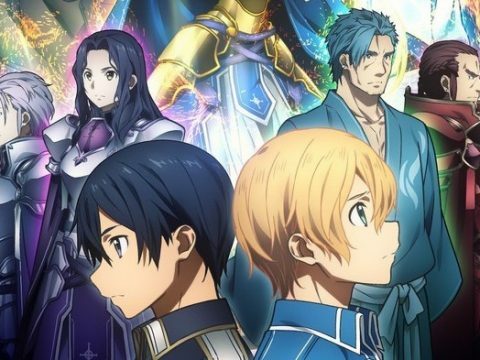 Episode two is as good an introduction to the concept of Sword Art Online—sans the whole death game thing—as any. 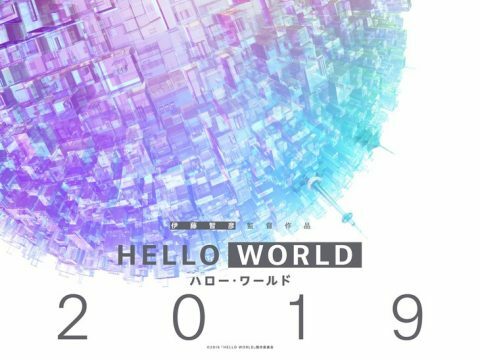 Thanks to some relatively concise exposition and character work, there’s no real reason one would need to watch the rest of SAO just to catch up for this series. 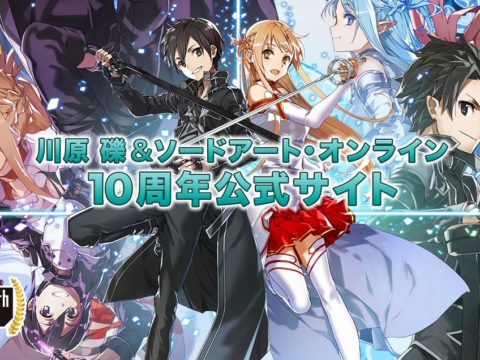 Not that I wouldn’t recommend (parts of) SAO, but it’s not a pre-requisite for Alternative. In the latter half of the episode we meet the mysterious Pitohui, who takes an immediate interest in LLENN. You see, thanks to her small stature and innate speed, LLENN has gradually built a reputation as “The Pink Devil,” a skilled player who ambushes others in the desert and annihilates entire parties in a lightning-fast flurry. It doesn’t take long for Pitohui to decide she’d like to become in-game friends, adventure together, and maybe meet in person some day… if LLENN can ever best her in combat, that is. When we spoke with director Masayuki Sakoi for the latest issue of Anime USA (out next week! 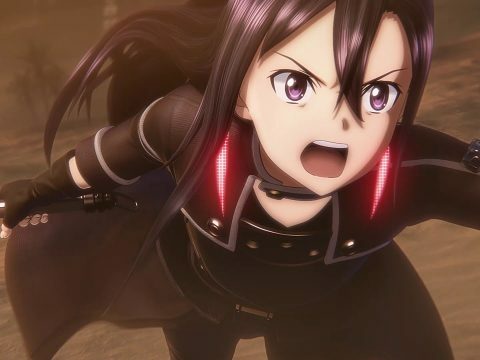 ), he mentioned that one of the best parts about adapting Sword Art Online Alternative was highlighting how much fun the characters are having in the game. It’s not a matter of life or death this time around, but SAO Alternative does a great job of showcasing the disparity between the real-world characters and their in-game avatars. LLENN voice actress Tomori Kusunoki echoed similar thoughts, expressing how irresistible the gap is between the character’s personalities. LLENN is “combative and savage” in the game, but pretty timid in real life, which probably rings true for most competitive online gamers. We’re just a couple episodes in, but Sword Art Online Alternative: Gun Gale Online is immediately charming. With both a solid gameplay episode and a full character introduction out of the way, it’s probably time to dive back into more of GGO‘s intense Squad Jam competition. I’ll definitely be sticking around to see what happens next. Sword Art Online Alternative: Gun Gale Online is currently streaming on Crunchyroll.